So I have already compared Tris from Divergent to Mulan. Now she, or rather her story, is striking me as being quite similar to Tiana from The Princess and the Frog. It's that theme that is similar also to Chocolat (more to the book than the movie), where it's specifically asceticism versus hedonism. With Tris that theme is Abnegation versus Dauntless, and with Tiana it's hard work versus taking a break. There is a fine line between finding power within yourself and also not letting yourself become absorbed in that sense of power. Tris grew up in Abnegation, where the philosophy was to be selfless and live only to help others. Then she joined Dauntless, where the idea was to be bold and always strive to be the best and to let everyone know that you're the best. So she had to find that line of realizing her own abilities while also wanting to use those abilities not just for self-centered reasons. Tiana grew up with the idea of working hard for your dreams, so she worked dusk to dawn every day, giving up any and every opportunity to go be with friends or to take a night off. From Naveen she learned that enjoying moments is also important; you can work hard but you can also enjoy life because otherwise the working hard isn't worth it. You see the Chocolat thing here, right? Do you hold yourself to a strict lifestyle, or do you give yourself up to pleasures? Ideally, neither one. Reading Tris's story was so inspiring to me because she is a small person, a person who moved from the background into the foreground. 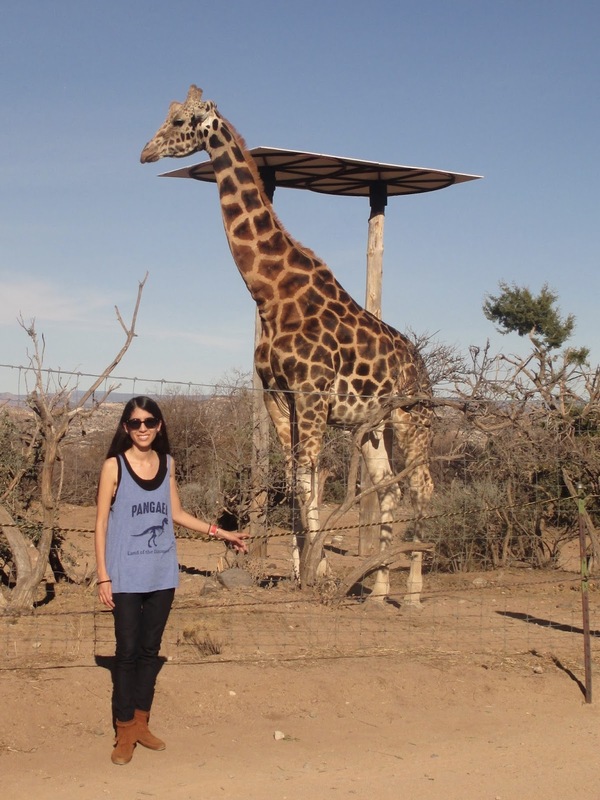 Her journey of discovering how to balance these two life philosophies fascinates me. And Tiana. The Princess and the Frog came out while I was in college, and I wanted to be like Tiana. She was so hardworking; I felt like I needed to be that. But then time passed and I realized that I can sometimes be more like Tiana than I think: I sometimes need to learn the lesson that she needed to learn, too. That lesson is, of course, about taking those moments. And that's an important thing: finding that balance makes such a difference. And yet there remains that fine line. You find that power. You find that ability in yourself, that capacity to be Dauntless or to go wild out in the bayou, and you still need to hold on to some of the things you learned in Abnegation or from all those years working 5AM to 11PM. You have no power if you do think you're powerful. The power doesn't come from yourself. That's why hedonism doesn't work. And that's why you also can't fade into the background; it isn't your right to do that, either. Am I making any sense? This post made sense in my head, but I fear I'm not being very clear. Asceticism versus hedonism; you get that, right? All I'm saying is that a balanced, fulfilled life lies in between the two, not at either end. And Tris and Tiana, their stories teach us that. Well, well, there I was thinking I would read more C.S. Lewis--at a steady pace of about one new book a year. I believe, though, it has been quite a while since I last picked up one of his books. This time I decided to go with what felt would be a core Lewis read, Mere Christianity. What I didn't know was that this book was originally a series of talks on the radio during WWII; the BBC asked Lewis to speak on Christianity during that difficult time. 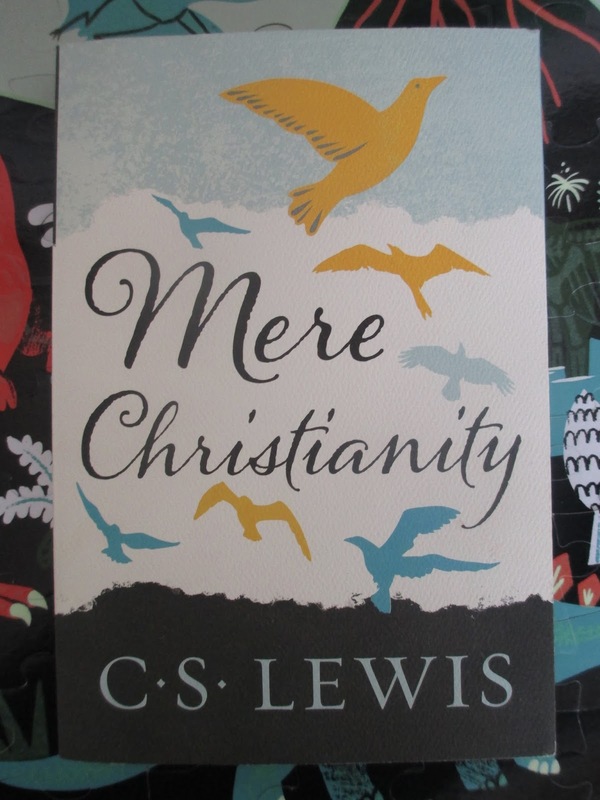 So the title of "mere" refers to the fact that Lewis, here, aims to describe Christianity in its most basic context--that is, in the things that apply apart from everyone's individual religious subdivisions and interpretations and such. So while certain parts of the beginning of The Problem of Pain, for instance, were a little more challenging perhaps to read and follow or wrap your head around, Mere Christianity is very easy to read. Being originally a radio talk (and being C.S. Lewis), the tone is simple and approachable even when he is describing abstract and large ideas. And his audience? A bit of both sides. Part of what he does here is correct certain incorrect concepts about what Christianity is--many impressions of which still exist even all these decades later. So all of that is especially helpful for any non-Christian readers. But Lewis also gives reminders to Christians. There are certain things that we might either forget or ignore or maybe even some things that we haven't quite realized before that he reminds us of. He talks about beliefs and about how those beliefs then affect behavior. All of this makes me think of something that I think people tend to forget: when people talk about certain guidelines for life/behavior that are in the Bible, they tend to ignore the fact that those are guidelines for Christians. Like if someone doesn't eat a certain food for their religion--you won't expect other people to not eat that food as well or for that person to be surprised that other people eat that food. A Christian lifestyle just means that people, who have already accepted to follow Christ, have decided that there are certain guidelines for living that they would personally like to follow. The belief comes first; then the lifestyle starts to follow. It isn't the other way around. Anyways. Overall, Lewis does a good job here of getting to the core of things, even of certain things that we would might like to forget. So definitely a good read, from whichever side of things you're coming. Also a nice starting place if you've mainly read Lewis's fiction and want to move on to his other writings. All of his talk about shadows or mere glimmers of things to come is, of course, very reminiscent of what he talks about in The Last Battle (the last book in The Chronicles of Narnia). We are in the Shadowlands and "there are no ordinary people. You have never talked to a mere mortal" (Lewis The Weight of Glory). We were all created to be immortal. How's that to give you a heart for people, eh? As I mentioned last week, I went over to the Art of Chocolate A'Fair in Gilbert earlier this month just to see what they had going on. 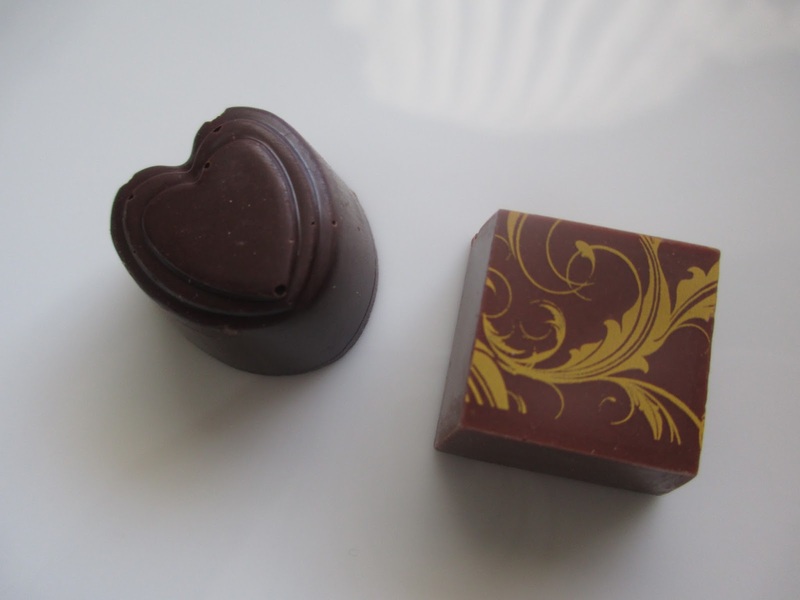 Their featured chocolatier was Elixir Chocolates from Albuquerque, New Mexico. 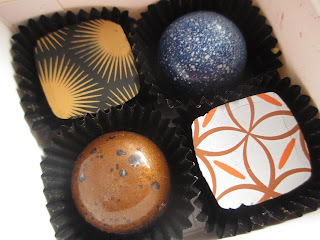 While I don't know what it meant for them to be the featured chocolatier, I did want to try out some of Elixir's chocolates. They are a confection company, so among their products are also things like toffee and brittle. You can already get that sense from the style of the white box here. For a confection company, though, these chocolates have style. (Not saying that confections don't have style--but they usually have more of that handmade, plainer sort of look, if you know what I mean.) The shapes and designs are varied and many of them have those patterns or pictures on top, which is something I usually see more on straight truffles rather than confections. Hazelnut Latte - I went for dark, milk, and white options. So the first here is a dark chocolate heart; inside of it you can see that there were white/black layers for a cream and chocolate look. The flavor is exactly that: cream and chocolate and coffee. What must be the hazelnut comes across more like coconut to me for some reason. I wouldn't say that this chocolate reminds me exactly of a hazelnut latte; more it makes me think of a cream-filled chocolate donut. The chocolate is the sweet kind of dark chocolate. Decidedly a confection, then. Chai Tea - Moving on down to the milk chocolate, we have a square with a golden pattern on it. You can taste the chai spices here instantly, ginger especially with a little cinnamon. It's a nice little zing of flavor but nothing terribly exciting. White Chocolate Irish Cream - Obviously, this one is the one with the cool boxy shape. A little Irish Cream hit comes first in the flavor, then that creamy, kind of chalky taste of the white chocolate. I'm enjoying it simply because I've been enjoying white chocolate lately. Also, though, I don't tend to find a flavor like Irish Cream added to white chocolate and in fact the combo works well: the two sweeter kind of flavors make for a good match. Mexican Chocolate - "Dark Chocolate, Red Chili, Cinnamon & Almond" - I didn't see the description when I chose this little red circle; I didn't realize, then, that it's a spicy chocolate, which, as you know, I don't usually favor. I was just thinking cinnamon, not chili. Yet it turned out to be the most interesting of the four. It begins with a nice fudge flavor. Then you get a cinnamon flavor that is specifically of cinnamon candy; this flavor is strong and spicy. The cinnamon next builds into more of a chili spice; I may possibly have picked up some almond towards the end. While I may still not be the biggest fan of chocolate burning me and white I do find it a little odd that the cinnamon tasted like candy, I am a fan of how all of these flavors came together. The sweetness perfectly combines with the spices to bring out the flavors rather than burning. And that's more of the idea of spiced chocolate versus spicy chocolate anyways, right? I wonder if, given that Elixir is based out of New Mexico, this might even be something of their signature chocolate. It could be: it's unique enough and its flavor profile fits well into the Southwest. 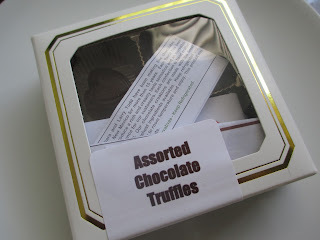 In general, I prefer chocolate products to be either fully in the truffle zone or the confection zone rather than in this in-between truffle/confection space. In general, chocolates like this leave me wanting something more. But with that being said, most of these were nice and the Mexican Chocolate did offer something unique. So I certainly prefer these to mass-produced, grocery store chocolates. I probably wouldn't go out of my way to get more from Elixir, though. Click to read my introduction to this series, Part 1, Part 2, Part 3, Part 4, Part 5, and Part 6. Simba will be the second exception to my decision not to include animal characters in this series. After all, 1994's The Lion King has characters even more like people than in Bambi or 101 Dalmatians. The 90's Disney films started getting deep, too, didn't they? (Just wait until we get to The Hunchback of Notre Dame next time.) Not that Disney was ever not deep; it's just that Disney is traditionally more simply good versus evil, which is simple deep. The Lion King, though, is all of the crazy mess of inner life conflict reacting against the outer world that is Hamlet. And Simba, as Hamlet, has quite the personal journey there. He begins as a normal child: eager, adventurous, positive, and friendly. He's excited to get into mischief and excited about the idea of being the king someday. But Simba's childhood ends early with the great shock that is the death of Mufasa. Following Scar's manipulation and bad advice, Simba flees into the "adolescent failure" stage. People nowadays call it "experimenting." Simba runs and hides, ignoring all that was important to him (his family, his home, and his friendship with Nala) in favor of looking out for himself only. He gives in to fear and, almost in a way, hedonism. And yet, even during this self-centered time, Simba's social side and his care for others still shows through in his friendship with Timon and Pumba. He doesn't just go off on his own; he finds a new posse, a new "family unit" to try and replace the one that he abandoned. As the story goes on, you could say that this story is an instance where the princess saves the prince, assuming here that we want to consider Nala a princess (technically, after all, she's probably Simba's half-sister, right? though we'd probably rather not think about it that way). Nala, venturing far from home to try and help her people/family, finds Simba and tells him to come back. They talk about it and though Nala doesn't in that moment convince him, this conversation does lead in to Simba's encounter with Rafiki and then his vision of his father, all of which then leads to his decision to return to Pride Rock and take his place. So you can say that Simba and Nala make a good team. Now, maybe everyone won't like this perspective, but I find Simba a great example of the male head of household setting up order for his family. What I like about this perspective is that Simba's taking on of this role emphasizes not the power of the role but the responsibility of it. This responsibility is what Mufasa tried to explain to the young Simba--what Simba could only understand for himself once he grew up and experienced that position for himself of seeing what it meant to stand up for his family/pride. And if you don't want to see it as specifically the "male head of household" thing, then you can simply see it as one person looking out for other people. Or you can even see Simba's move to take his place as king as his move to take his place in the world. We all tend to struggle with wondering what our place is and finding out how to settle into it. It isn't always easy. So Simba's story shows what it means to realize what your role is and how you can perform it and how your own choices affect so many other people. That's life. Ah, these deep 90's Disney films. Is there a running theme here? Ah, there are always running themes. And actually, there are a couple of running themes this time. They are the themes of falling in love and of the classic rags to riches story, Cinderella. Last spring, Arizona Opera put on their production of Rossini's Cinderella, and now this February, Ballet Arizona performed Prokofiev's Cinderella. 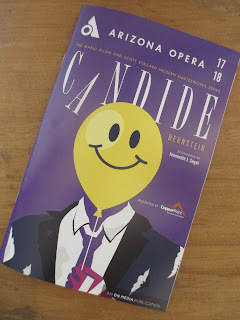 So an opera version of the story one year and a ballet version the next year. This time there was more of a touch of fantasy and less of that socio-political angle--of course this would make sense given that there could be no dialogue in the ballet, just visuals. When the scene opened on Cinderella in her "rags," I did have a feeling of deja vu, as if it hadn't been nearly a year since I'd last watched this character on the Symphony Hall stage, but that quickly dissipated as we launched into an entirely different type of production, complete with the usual high production standards. While I still probably enjoyed Swan Lake last October more, I did find Cinderella more to my tastes than Romeo and Juliet last February. Speaking of Romeo and Juliet, I've just come off of Southwest Shakespeare's Romeo and Juliet last month, where I commented about the strong feeling of falling in love that was in the play. I got that same type of feeling at times from this ballet, when Cinderella and the prince danced together. I don't know why I got that from Cinderella but not from Romeo and Juliet (the ballet). I just know that you could tangibly feel that tone. Our story, then, was of nature drawing like to like. Cinderella, through her grace, drew the attention of the fairy godmother and then of the prince. Her stepsisters, on the other hand, scared everyone away and drew only disdain with their wiling and presumptuous attitudes. And the stepsisters, my goodness, they were definitely an audience favorite. The stepsisters aren't supposed to have social graces, which would mean that they don't dance well--but here we had talented dancers portraying poor dancing. Quite an art there. They weren't just dancing; they were truly acting, with such great physical comedy. They were the element of levity in a story that, while a fantasy, is also quite serious. Now "Someday My Prince Will Come" from Snow White and "So This Is Love" from Cinderella are going through my head simultaneously. Valentine's Day month really is hanging on forever, isn't it? I'll say this about XO Confections: they make a good show at all the local events. If there is an event to do with chocolate even in the slightest, they'll be there. I first saw them at the Glendale Chocolate Affaire a couple of years ago, they were at the Chiles and Chocolate Festival last fall, and earlier this month I caught them at the Art of Chocolate A'Fair in Gilbert (it was mainly a craft and candy/fudge fair, so there wasn't enough material for a separate post just on the event). XO Confections makes chocolates, some plain, some flavored, and some with caramel. They always put together a sleek booth, with a glass case of chocolates and big displays listing the flavors so that everyone can see it all while waiting in line. Because there is usually a big line, despite the fact that there will inevitably be a stray comment from the crowd about them being pricey (these are just average truffle prices, perfectly reasonable for what you're getting). 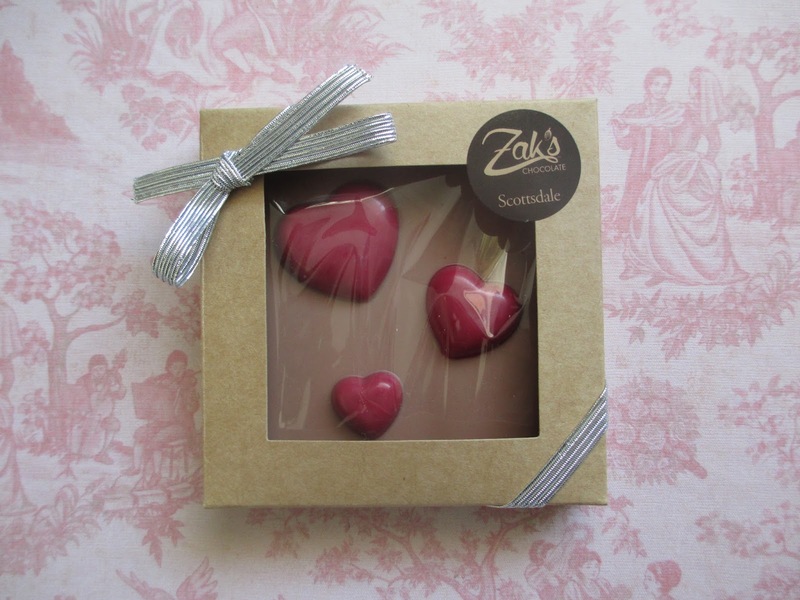 Pristine and colorful, the chocolates make great gifts or special treats for yourself. I picked out a box of four. 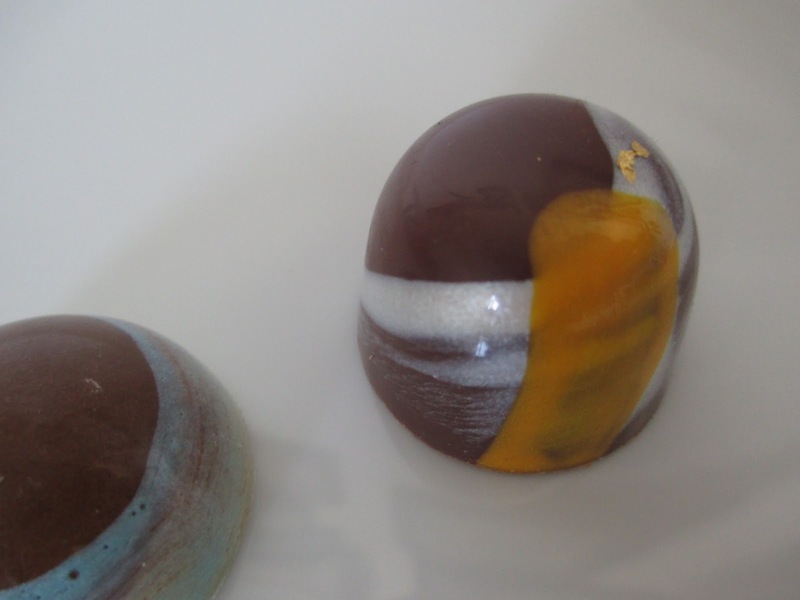 Piedmont Sunrise - "Espresso Dark Chocolate Ganache atop a Hazelnut Praline" - The design here mimics the shape of the sun on the horizon. Initially you taste the espresso and then the hazelnut comes in. I am less used to hazelnut and espresso being together in a chocolate, though maybe for people who are more used to multi-flavored coffee drinks the combination will flow naturally. 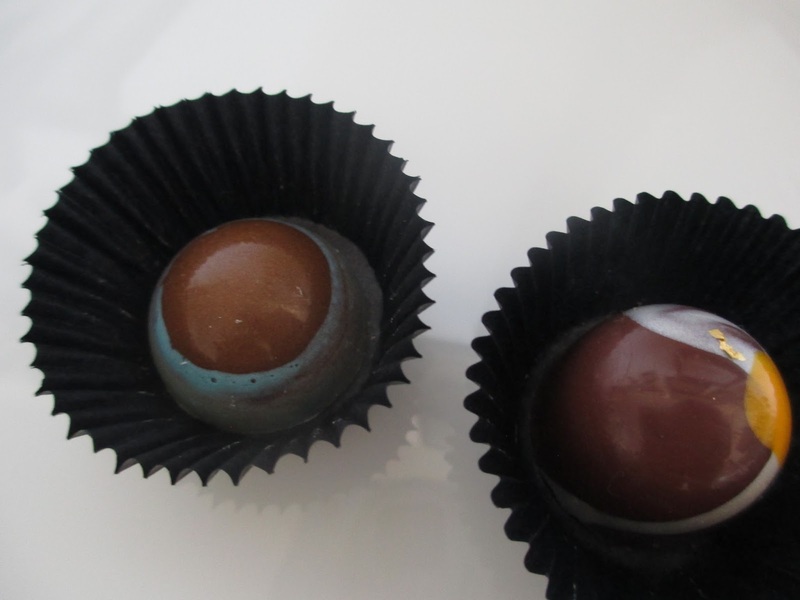 The hazelnut is good and fresh, the espresso is espresso, and the chocolate adds the sweet element. It's nice. Oceania - "Cream Caramel with Sea Salt" - A blue chocolate with what I've begun calling the powdered sugar effect on top. And the description here is perfect. A cream caramel? This is exactly that: a free-flowing, creamy caramel. It has a whiter, cloudier color than the usual orange of caramel. 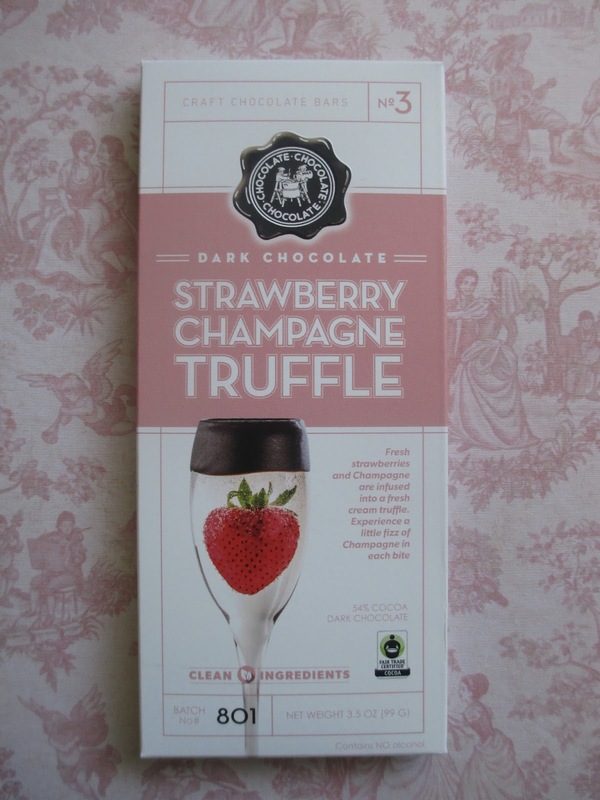 The taste also is more of cream, which gives the truffle more of an effect like a milk chocolate confection. I don't taste much salt--which is fine because salted caramel can really be overdone these days. A messy one with all of that caramel, but definitely a fun one. St. Marron - "Chestnut and Honey Infused Milk Chocolate Ganache" - A slightly sparkly, deep bronze color with dark chocolate spots on this one. The honey taste here comes early on as a strong hit, like a honey stick specifically. I don't know if it tastes different from other honey chocolates I've had because it's a different type of honey, because there is more of it, or because it is added in differently. This tastes sweeter versus rich, stronger and less earthy. Since I never eat chestnut themselves, I can't say that I detect chestnut flavor specifically. Perhaps there is a nutty flavor to the chocolate; maybe this flavor is even what's making the honey taste stronger. Overall, it's a good chocolate. Honey and chocolate do go well together (one of the reasons why I make hot chocolate with honey instead of sugar); it's just all sweeter than I might have expected. 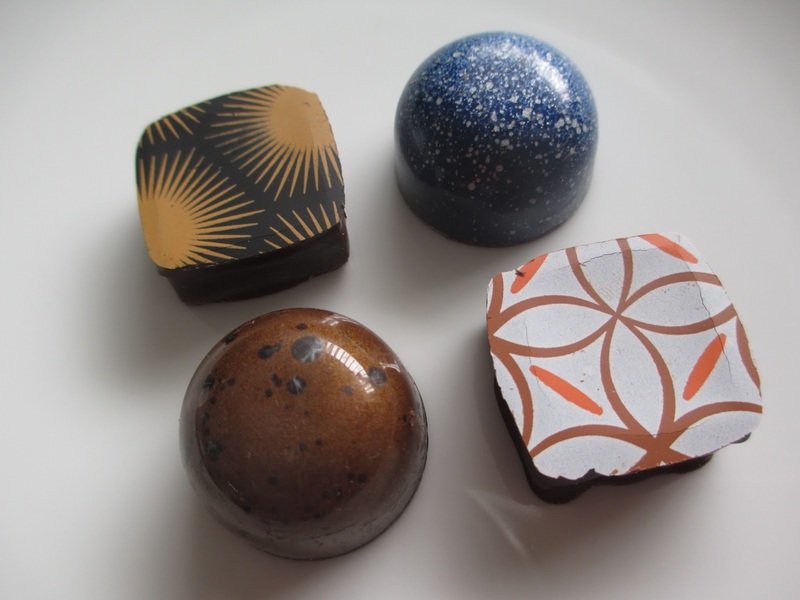 Veracruz - "Kahlua Infused White Chocolate Ganache atop a Crunchy Almond Praline" - Finishing off with the chocolate with the white top with that pattern on it. Once again, great description here. There is a layer of white chocolate to give that touch of sweet white chocolate flavor; underneath that is a layer of praline. The praline gives texture with that little bit of crunch. In addition to the white chocolate and almonds, you also get a bit of chocolate and that coffee Kahlua flavor. Almost this sounds like it would be too many flavors all in one, yet in this case too much feels reckless and fun. Maybe it's just because it's Kahlua. Kahlua is great for creating a feeling of childish adultness. So we have another smiling flavor mix here. So the Veracruz and Oceania were my personal favorites. Overall a fun way of approaching flavored chocolate with some slightly different angles on familiar flavors. The simple fact of the matter is, Han Solo isn't one of my favorite Star Wars characters. He's a main character, yes, but in terms of themes, he is generally more on the sidelines. He does have a character arc, yes, in which he chooses to stay with the Rebellion rather than just go his own way seeking profit. Overall, though, he just doesn't interest me much. There is nothing for me to analyze about Han Solo (unlike, for instance, with his son). So when I heard that the next standalone film after Rogue One would be based on Han Solo, I couldn't work up any excitement. Still, you always wait and see how things will unfold before trying to make opinions beforehand, right? Right. And then along came all of the news about this film, about switching directors and reshooting and all the sorts of things that suggest that production has been a mess. Not exactly encouraging. Still, you try and wait for the actual movie. Then along came the trailer today. Did it pique my interest? No, not at all. Instead, it made me more apathetic. This trailer just looked like it belongs to an action movie, or a sci-fi action movie, not a Star Wars movie. It tried to give out coolness but not theme. It got started on the "cool rebel" concept--but more than being about rebellion, Star Wars is about making personal choices that are the right rather than the wrong choices. You don't rebel for the sake of rebellion; you make a choice that might be a rebellious choice only if that is simply the right choice in the situation. So. Not a fan of all that. And what else did we see? Different actors playing familiar characters and new actors playing new characters. Okay. Nothing really exciting. No lines of dialogue or delivery of dialogue that got me excited, either. Just nothing. I'll definitely go see this movie when it comes out, of course. And hopefully I'll enjoy it. I'm just . . . still not excited to see it yet. Not that I ever take good pictures at Out of Africa, but sometimes I do like to share them because the content is good. I go there pretty regularly, so often I think I'll just wait and make a compilation post from different trips. That never seems to happen, though--so here I have some pictures from when I was there earlier this week. Jericho the rhino is elusive. Yet I caught sight of him last time I was there, and this time he was also out and about, napping in the sunshine. A true dinosaur if ever I saw one. These ladies are usually napping, too. Normally, though, they're underneath their shaded patio. On this day, they were out in the sun, too, fully stretched out on their backs. The ultimate poses of contentment, eh? Kumba (the lioness) and Chalet (the white tiger) were also at rest (Do you sense a trend here? The day was so beautiful that all of the animals were really taking advantage of the weather.). Chalet is the star of Tiger Splash; you have a good chance of seeing her there if you go on a busy day or a weekend. She does such wonderful jumps into the water to catch the toys. When she leaves, though, Kumba cries for her--and everyone walking by assures her that her friend Chalet will be back soon, like she always is. It's adorable. Even Fisher was out, smiling in the light. Since it was a Monday (aka. an off-day), Tiger Splash was a little different. It was only young Zarah's fourth time being in the show, so they were mainly just getting her used to the arena and the pool and the toys and the audience. As someone who has seen Chalet's wonderful jumps many times and also the other tigers many times (they all have their different personalities and preferences, which makes the show different each time and for each tiger), it was great to have a chance to see something entirely new--and to see Zarah at these early stages. She's working up to be a little star herself. And here she is in a mild game that will probably lead in to the full tug-of-war later. Jeff gave her a bottle at the end of the show. There isn't much cuter than seeing a (big) little tiger drinking from a bottle. And speaking of cute, isn't this landscape shot cute, too? Do you see what I see? How about now? Think golden. There she is, a lovely lioness blending in with the landscape. This is why you never know, when you're out hiking, if a mountain lion might be watching you. Don't worry, though, they're probably just minding their own business and have zero interest in approaching you. And I must include at the end the picture I've already shared elsewhere, in which I am representing for the dear Pangaea: Land of the Dinosaurs whilst visiting with Pilgrim. Kibo came to his side of the fence to say hi on the way in, and Pilgrim came over to say bye on the way out. They make for wonderful greeters.